On Friday 26 May 2017 Hawkwind returned to London’s legendary Roundhouse venue in Chalk Farm for the first time in 40 years. The historic show was captured for posterity and is celebrated in this box set, which includes audio and audio-visual versions of the entire performance. 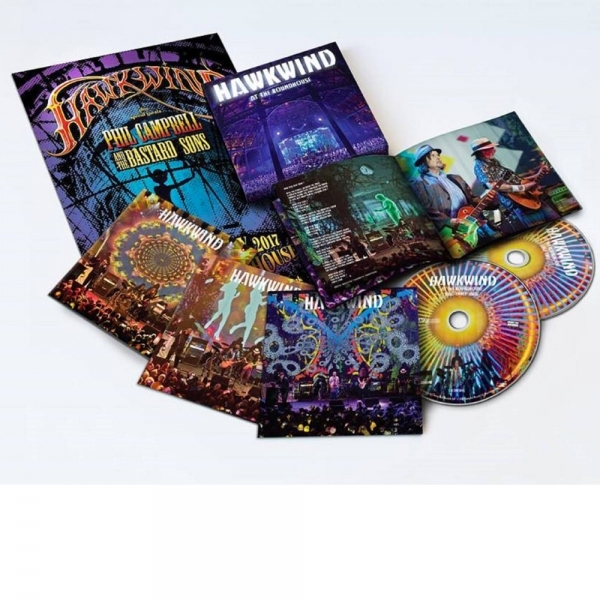 The set-list blends highlights from Hawkwind’s last two highly acclaimed - Top 40 albums - The Machine Stops and Into The Woods alongside classics from the band’s past. Double CD and (region 0, NTSC) DVD in clamshell box with booklet.